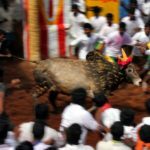 Two articles by P. Sainath – Cattle Class: native vs exotic and Holy Cow! Small is beautiful! about the value of indigenous breeds of cattle caught my attention and took me straight back to my nomad days. I remember having very similar opinions with horses. Sharing here my observations with three breeds of horses, and how they had evolved for specific purposes and the complications of doing the fish out of water thing with them. 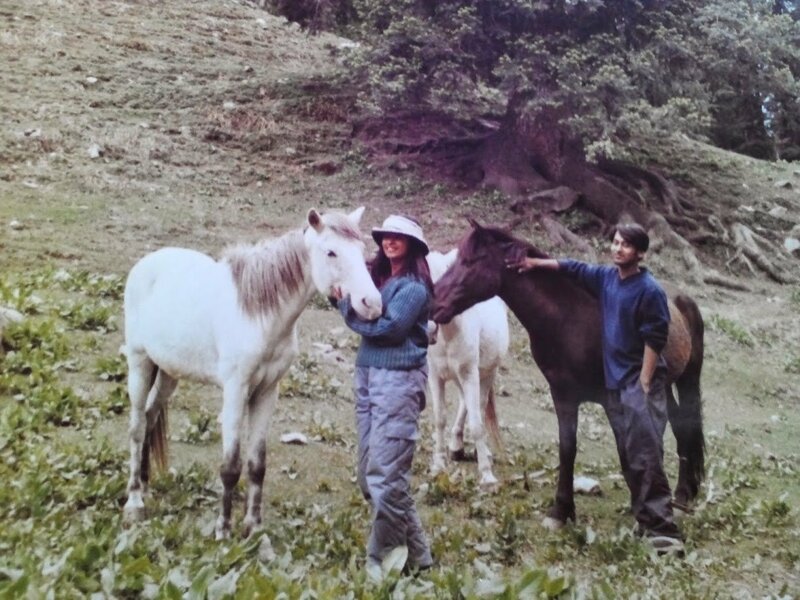 We began with a herd of mountain ponies native to the Manali region. These horses don’t look anything like the horses you see in films. Or rather, no one wants to make films with horses that look like this for some reason. I thought they were beautiful. BTW, the difference between a pony and horse is largely height and some differences in quality of coat, legs to body proportion and temperament. It is the same animal. If it is higher than 14.2 hands, it is a horse. A hand is 4 inches. Mountain ponies have much shorter legs, stockier bodies, smaller height. In my seven years in the mountain living with horses, I have seen exactly two mountain ponies tall enough to be called horses, though everyone calls them horses (the distinction between horse and pony is largely imported). They are very surefooted and are able to walk on mountain slopes and unstable ground very well. They have a thick coat of hair even in summers, which becomes really thick in winters and they are able to live outdoors around the year as a result, even surviving for over a month if they get snowbound. They are chiefly used for pack loads and carry it well and with great stability (not about skill, but genetics – skeletal structure, gait). They also have tremendous endurance and can literally work for hours and hours. I have had 20 hour days with loaded horses with no harm beyond exhausted foals and old in the herd. They rested, and were absolutely fine. Obviously you don’t (and physically can’t) make a habit out of this. The “feel” of riding a mountain pony is nothing to write home about. Sure, you can ride them, but it isn’t the kind of speed you see on racetracks and films. Nor is it as comfortable as riding a taller horse. There is a distinct lack of “grandeur” as compared with horses, that tourists wish for and this is the “deficiency” from where my exposure and experiences with other breeds started. While mountain ponies are the best for trekking related work, there is significant demand for riding ponies – particularly for Indian tourists come to see the snow and such. A few foreigners want to go on riding trails in the mountains too. A really tall man sitting on a mountain pony looks… not all that hot, though the weight is rarely a problem. So, a few local people who do a lot of joy rides for tourists purchased the more flashy “Punjabi” horses – which are actually some kind of thoroughbred and Marwadi horses 😀 These horses were what is called epic fail. Excellent animals, beautiful to look at, tall and dazzling speeds (for someone used to mountain ponies)…. and a Pandora’s box of problems. Their skins were too thin for the cold air, and they caught a chill very easily. They got colic easily and had more expense for both feeding and healthcare. They had no idea how to navigate the mountainous terrain, and while the theory went that they would learn, I never actually saw one that managed it. Mountain ponies have a crucial skill – they are able to step and shift weight with great skill. They may hate it, but they can come down slopes too without harm. Also, the size of the “low-altitude horses” was a big disadvantage for this. Compared to these, the local ponies were like agile goats. Their larger legs and slimmer bodies meant that they simply didn’t have the lung capacity for endurance at high altitudes. Their bones were too fragile for the constant impacts that uneven terrain meant. Most of them died within years of being brought to the mountains. A few mated with local mares and the foals were really big. Some mares did deliver safely, but the off spring also was not as hardy as wished. The offspring of this offspring was not much taller (or slimmer-longlegged) than the mountain ponies, but I did not live there long enough to observe them in adulthood. Basically, it was like expecting a Rolls Royce to plough your field. Where you need a tractor, you need a tractor. Rugged endurance. Another experiment we did (the previous one we only witnessed) was with the “Dhoepa” horses of Pin Valley. Known also as Spiti Ponies, Chumurti ponies, these horses have a special gait that makes riding extremely comfortable. In fact, it feels like accelerating a bike. Zero jogging up and down. Before there were roads, these horses were standard transport in this region, and the better the gait, the more it was a symbol of prestige. The old timers would say that people showed off their gaited ponies by riding them with a filled glass of the local arak (alcohol) in hand without spilling it. These horses are from Spiti, which is a high-altitude cold desert. They have no problems with altitude or cold. Their gait is truly superb for riding. I have had a horse stumble under me without realizing it immediately. I have ridden a mare who was lame in one leg (as an experiment – she wasn’t in any pain) and still had a good ride. THAT smooth. Where regular horses move diagonally opposite legs when they start running, these are much like the Spanish Paso Finos (as a foreigners who knew such things told me) – they move lateral legs at the same time. So the result is a shift/shuffle, which barely leads to much movement in the body. This gait is very efficient on level ground as minimum body movement is used and they can go on all day like this. To see one of these horse rider combos coming at you in the distance is really funny, because the legs look like they are all over the place, and the body barely seems to move. If there is a mirage… up a gear or five on surreal. The problems these horses had was with the uneven terrain too. They were bred for long distance riding and can sustain running for hours on end, but Spiti is a desert – the terrain is vast and mostly flat. The way they step taxes their legs when the ground is not level, since the whole shock is absorbed by the feet. To understand this balance a book on your head and walk around and then go up or down stairs – see how differently your legs absorb shock. Most Chumurti ponies I saw that did any extensive walking on mountain slopes developed problems with their fetlocks. Some temporary, some permanent. Still, with care, they did somewhat better. But they had also been displaced far less – less than a hundred kilometers as the crow flies – though the Himalayan range being in the middle makes for really stark contrast – lush greenery and abundant rain versus arid desert where they say if you sit in the sun with your feet in the shade, you can get sun stroke and frost bite at the same time. In any case, this side of the mountains, it is green and warmer and humider. Not something these horses appreciated. Bred for single riding and in a region with very scarce grazing (requiring each horse to need more area to feed in), they were not particularly “herd animals” and had a distressing tendency to wander off on their own. I have lost count of the search and rescue expeditions we did when we didn’t know to expect this and imagined they would stay with the herd once they had spent some time together – as most horses do. It was oil and water for a long, long time. Some never took to it and we resigned ourselves to managing them independently. Mares bred successfully, but the problem with the foals was that they either had the gait or didn’t. If they had it, it came with all the problems it brought in this terrain. If they didn’t, there was no advantage over regular ponies. Certainly nothing that justified the special treatment the mares needed beyond an experiment. A few offspring used the gait at slower speeds and broke into regular trots and canters for faster speeds. They did slightly better at protecting their feet, but for riding, the “smooth ride” wasn’t consistent. Both breeds were useless as pack ponies. The “low altitude horses” or “horses from the plains” had too delicate skin for the pack saddles and loads and were anyway able to carry far less than mountain ponies for any length of time. Strangely, the super smooth Chumurti ponies actually were not able to balance loads well! Possibly because carrying the load well might involve moving the back strategically to counter any off-balancing that may happen. Tough to say without a horse explaining it, but it could be that. Besides, both of these were too expensive investments to risk harming them. And it was economic suicide to keep animals that will only do part of the work available and eat round the year. We did it, because we were like that, and we pampered our animals – this cannot be reasonably expected to be standard treatment. Locals once said the horses must have done something good in their previous life to be with us in this one. We lived, breathed, thought, obsessed horses. Happy animals. How to make them happier, healthier… They were NOT our property, but our dependents in care, and partners in work. It says a lot that with a herd of riding horses, we never ever used any whips, spurs and such with any of them, ever to make them run. A horse bursting with health WANTS to run. Alas, most people who earn from horses have families to feed that unlike ours, don’t include horses. We have lived in poverty but not let the horses go without optimal feeds – this is near impossible for most horse owners. The horses ended up doing work they were unsuitable for and suffering for it or suffering from not having their unique needs understood and addressed, no matter how hard the owners tried to avoid it. To look at this from a different angle, in all my time in the mountains, the only old horses I know are the local mountain ponies and the most successful horsemen have local ponies. At the end of the day, for us too, it was excellently bred local horses that delivered the money and ease of work that was spent in pampering the more delicate members of our “family”. Health and training aid greatly to presentation, and our horses were shining with health and known as the largest herd of riding horses in the area – all our best performers have always been local ponies. mae nahi padunga…..ghore gadhe k baare mae??? ?